On Sunday 23rd of April the streets of Barcelona will become filled with roses and books. Mag Fest Barcelona is the city’s first International Festival of Magic. The festival is hosted in different places around Barcelona. 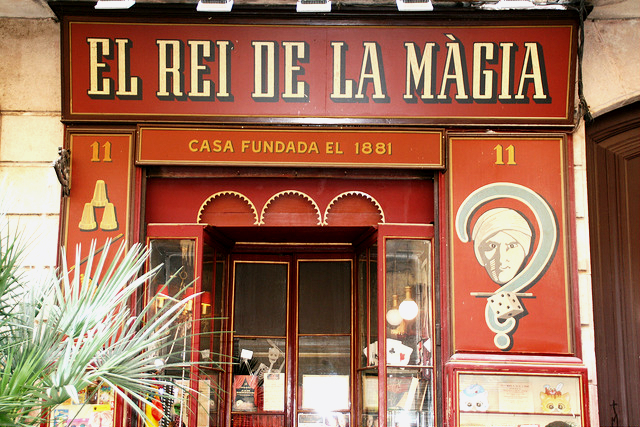 This week on Friday 21st and on Saturday 22nd you can see Dani Daoritz and Yann Frisch in El Rei de la Magia. In theatre El Rei de la Magia is going on other performances, too. You can see the whole program here. On Wednesday 19th of April FC Barcelona plays a Champions League match against Juventus. 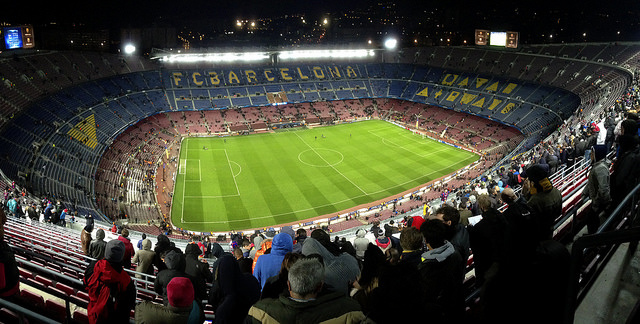 The game is played on FC Barcelona’s home field Camp Nou stadium in Barcelona. You can buy tickets to the game from here. La Diada de Sant Jordi, also called as El Día de la Rosa and El Dia del Llibre, is celebrated in Barcelona every year 23rd of April. It's known as the day of lovers, too. 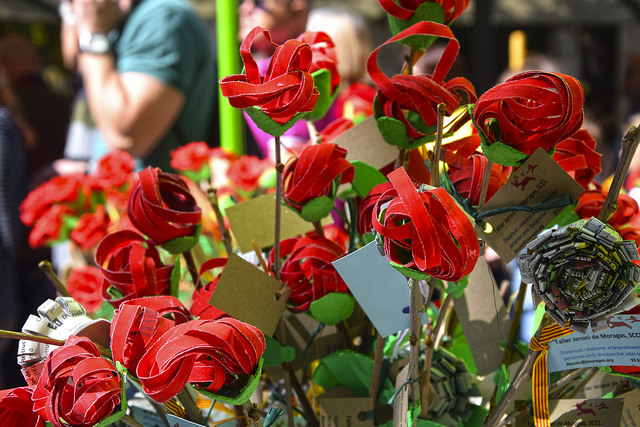 Sant Jordi is a Catalan traditional holiday, with some similarities to Valentine's Day. Historically men gave women a rose, and in exchange women gave men a book. "A rose for love, and a book forever" as it was said. The same tradition is still going on, even though in modern days mutual exchange of books is also conventional. During this day the streets of Barcelona and all over Catalonia will be crowded with people, and you will see most of the women walking with roses in their hands. Rose selling stands and book shops are set up everywhere, and in the evening of the day around 6 million roses and 800 000 books will be sold. In 1995 UNESCO adopted 23rd April as World Book Day. Planning on a vacation in Barcelona or Madrid? Habitat Apartments offers a wide range of fully equipped and centrally located apartments. If you would like to get all our news and tips for your holiday in Barcelona and Madrid, please feel free to follow us on our sites in social media.